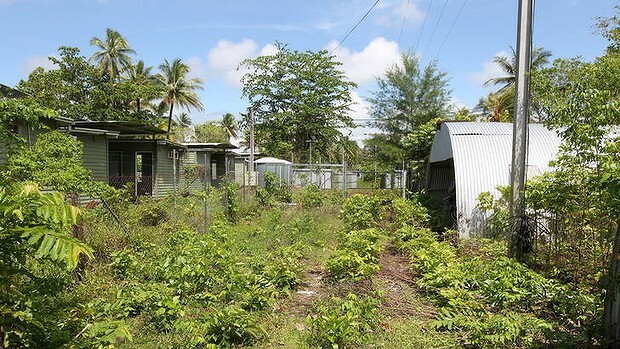 The United Nations refugee agency has detailed five major concerns about the federal government's plan to send asylum seekers to Papua New Guinea's Manus Island in the coming weeks. The concerns are detailed in a letter from the United Nations High Commissioner for Refugees, Antonio Guterres, that was tabled in Federal Parliament this week as a resolution approving the designation of PNG as a ''regional processing country'' passed in both houses. They include PNG's failure to sign international treaties against torture and for the protection of stateless people, and the absence of any national legal or regulatory framework to address refugee issues in PNG. In the letter, to Immigration Minister Chris Bowen, Mr Guterres says the arrangements for offshore processing on Manus Island - like those on Nauru - are between the countries involved and that the UNHCR ''would not have any operational or active role to play in their implementation''. Dated October 9, the letter also describes an absence of ''any national capacity'' in PNG to implement international obligations. ''We recognise that efforts are presently being made to identify and train a small cadre of officers in asylum and refugee issues,'' Mr Guterres writes. The agency also says the risk of refoulement, or return to their place of persecution, remains in spite of written undertakings that it would not take place. This was because of the porous and often unregulated nature of PNG's borders and the limited understanding by border officials of PNG's protection responsibilities. The final concern related to the quality of protection for asylum seekers and refugees, especially because of the ''very limited opportunities for sustainable local integration''. The letter also highlights the agency's reservations about the ''no-advantage test'' that is intended to apply to those sent to Manus Island and Nauru, whereby they will remain at these locations for the time it would have taken for them to be processed and resettled from transit countries. It say the time taken to resettle cases referred to the UNHCR in south-east Asia may not be a ''suitable comparator''; that there is no ''average'' time for resettlement from transit countries; and that the test appears to based on the longer term aspiration for regional processing to be in place. A spokesman for Mr Bowen said the government would ''take on board'' the issues raised by Mr Guterres. He said the government would work with the PNG government on the setting up of the processing center and expected the first transfers to occurring ''in coming weeks''.